This is a compile of Insomniac's, Nastun's, Deathbane27's, mods With a few touch ups from me in one simple download file. Soon coming my Full modded UI. Also thanks to T.KING (Master of Arcane) for the GRAFX . Thanks To Taco, for helpin me out with the Bug that was going around! 4/9/05 **Add-On** F1-F6 Group WIndow! 4/1/05 Fenix Arcane come with Arcane Spell Book Mod! 4/1/05 UI is now compatible with Simple Targeting System as Well as the Detailed Target System! 3/1/05 Included File for players who would like Hotbars with Page Banks! 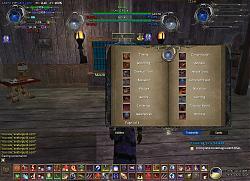 3/1/05 Included File for casters to upgrade the Groupwindow : Easy to read Heath, power, and Status Effects! 3/1/05 Included File for Caster Groupwindow with out the ORB style Graphic : Vertical Players, Easy to read Heath, power, and Status Effects! UI is now compatible with Simple Targeting System as Well as the Detailed Target System! /con_version 0 for Detailed /con_version 1 for Simple! A: Just type /con_version 0 to change the target mode back to Detailed mode! Q: Do i have to Reinstall the whole UI just to add the Spell book mod!? Implied Target Has Been Fixed , More to come. Target window was super Huge, that has been fixed to be correct size. Clock is now Visible on boot up now. Group Window Now Fixed all centered, and Bigger and Better Power and Health bars! Orb and No ORB windows installed! 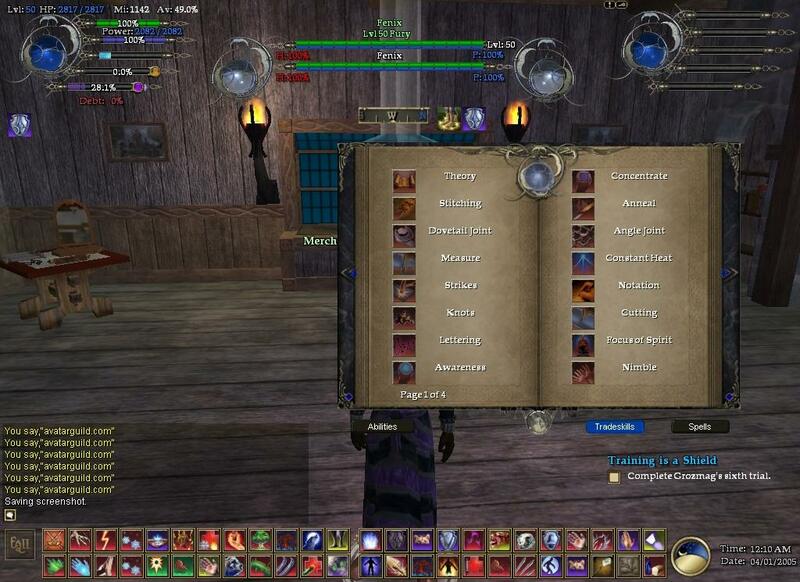 Install UI And any additional Options Befor you install the EQ2Map. You can either Copy Folder Fenix Over the Folder already in your EQ2\UI directory; Then Reinstall EQ2 Map. Or Unzip Fenix.zip open each folder and copy the NEW Files to the corispoding folders overwriting the old files. Delete The Whole Fenix UI folder from your EQ2\UI Directory; And if you Installed the EQ2 Map, Uninstall it through Add and Remove Programs. Then Follow the instructions to install The UI And After the UI is installed, Run the EQ2 Map install tool. Right Click fenix.zip, click extract here. Under EQ2/UI Folder copy the fenix folder you unzipped. More to come, in Newer versions keep and eye out! Ok. I used to use this program. I am not sure how to post something on here, so I Hope this works out ok. But I am trying to put fenix into my game. I remember there used to be two downloads I think in order to get it to work. I only have one. The fix one. But is there another one I need to get it to work with eq2? I can load up to the charactor screen but when I try to log in with a charactor it takes a while and then kicks me out of eq2 entirely. I heard some ppl saying there skills list is blank, some say personna. Both of mine are blank. I put the default ones in your folder and tried some custom ones. Still both Blank. Any ideas? Hello, I am haveing a slight problem. When the game loads up some of the pics that show up in your screenshot are all black in mine. I tried some of the things like deleting and renaming but those did not work. I really love the way you have your UI set up like WoW and would love to get this to work, I havea pic. Im not sure if its to big but if it doesnt show up ill email you a copy of it. I play in windowed mode so I would like to remove the time and date in the UI. Any suggestions? Never mind I found it..
Where do I get the patch update for this ui? Now I may be blind here but where is the update? I went to the downloads section and it is still dated like May or April. Thanks for the fix!! Worked great! I didn't do a re-install or anything like that. Just replaced the file and logged in fine. Thanks for the support. I really enjoy this UI. Let me know if there are any issues, aka doesn't work or whatever. The patch worked for me but that's with a clean install of only his work and my patch so may be some issues that need attending to. Can someone maybe update it for us please? I would If I knew how.. Would really like some full time support on this. I hope that's not the case =( I love this UI... would hate to have to go find another one. Last edited by Drunder40 : 07-14-2005 at 05:43 AM. I love this interface, I'm only having one problem, around Elite Characters I'm not seeing the brackets or any way to tell if they are elite or not. Am I just missing somthing?? ?